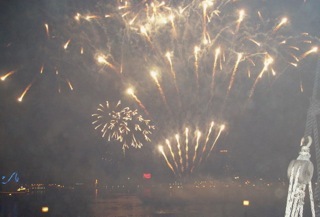 Holidays - Let me wish you a grand Fourth of July. Our country's Independence Day. Most folks have cookouts, but I didn't grow up with that or even picnics. I've never been much on historical knowledge but growing up in small town America, we sure had a lot of patriotism flowing on such days. It seems that was the focus and I don't even remember what else we did on the Fourth. There were many holidays to fly the flag and have parades to celebrate the lives of those who fought to keep our country's freedom. Sadly it seems a lot of that has been lost with the sad state of affairs in Washington. I do remember loving fireworks. We would drive out to some place, pull off the road and sit in the car and watch them. That closed the day off and when we got home it was time for bed (at least for me). Here where we live now they have a lot of fireworks shooting across the huge lake that is within the community. Fortunately we sit up a bit on a hill and can see the ones that reach high in the sky, so it's nice to open our front door, sit down and enjoy the show. Maybe we'll have some special dessert also. I've been wanting to make Baklava for quite some time now. A holiday would be a great excuse to get it done. Tidbit - Organic Farming Facts - When you eat organic foods you help the environment because organic farmers don't use chemical fertilizers and pesticides and that's a good idea. • There are more than 450 Ladybug species in North America! • Adult Tree Swallows eat or feed to their young over 300,000 insects during their 45-day nesting period. No wonder they're called "Swallows." • The amount of land in our world that is dedicated to organic farming is larger than all 5 of the North American Great Lakes combined! That's 118,000 square miles which is 2% of the world's farmland. • Dr. Matthew Hollist teaches that there are 15-20 times more beneficial nutrients in organic food than non-organic food. Birds - Identification - Cornell University now has a FREE app to help you identify a bird. It's called Merlin. VERY COOL! It's available for Apple or Android. Answer 5 simple questions about a bird you're wanting to identify and Merlin will come up with a list of possibles. Merlin offers quick identification help for beginning and intermediate bird watchers to learn about North America’s most common birds! It draws upon more than 70 million observations from the eBird citizen-science project and customizes your list to the species you are most likely to see at your location and time of year. Check it out! I may not have a cell phone or iPad to put it on to use it, but I do have photos that I can't ID now and then. Merlin has a BETA version online where you can upload a photo to ID it. I had a bird I couldn't ID a couple of weeks ago, so I put it in and went through the process. You click on the bill tip, the eye, and the tail. My bird had nothing to show for a tail since it was facing me. It wouldn't let me proceed without placing a "dot" on the tail as I had with the bill and eye, so I clicked on the tail shadow of another bird that was to its left, but not showing up. It actually identified it correctly. It was an immature stage and that's why I couldn't figure out what it was. Merlin gets 5 stars from me! Check this out! 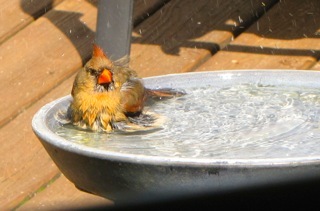 I continue to get such great joy out of seeing all the birds in our habitat reproducing. We now have new Brown Thrashers, more Finches and Cardinals, Downy Woodpeckers, Great-crested Flycatchers and so much more. It seems I don't get to the see the babies from the Titmouse parents, nor the White-breasted Nuthatch and Black-capped Chickadee. But I see adults grabbing food from the feeders at a furious rate this time of year. What a blessing to my spirit to sit amongst all of this and dwell with the Lord. White-winged Crossbill - This bird that's in the finch family can eat up to 3,000 conifer seeds each day. It's a bird that migrates to and from the boreal forests where it produces its young. Each winter these Crossbills leave the boreal forests for southern Canada and as far south as Virginia, Kentucky, and Kansas. I'm in central Virginia but have never had one on the property, but then we have mostly hardwoods on our one acre habitat with a front border of pines and cedars. By its name you can tell its bill is designed to be a tool to retrieve the seeds within an evergreen cone that are tightly hidden inside, such as the spruce tree. Watch a YouTube video showing you this bird's design for its provision from God. Spiritual - God is an amazing God! How detailed He has been on the design of all that He has made. That includes you and me! We can easily see any lack of talents that we don't possess and would like to have, but what we need to be focusing on is what we, as an individual uniquely designed by God. If we're always looking at our weaknesses we are not enjoying the value that God places on us. Consider Matthew 6:26: "Behold the fowls of the air: for they sow not, neither do they reap, nor gather into barns; yet your heavenly Father feedeth them. Are ye not much better than they?" Allow yourself to be who God made you to be. You will be surprised as you focus on that, how much more you will appreciate who you are. If God takes care of the birds without them worrying about who they are, how much more will He take care of you .... oh ye, of little faith. We get wrapped up in thinking we have to fix ourselves and make everything right in our lives, when the birds of the air should be more of our example of trusting and resting in Him for today's directions of provision. "He will never leave you nor forsake you" (Hebrews 13:5), but you have to tune in to benefit from that. We may leave God, but He will never leave us. No matter how bleak the situation, no matter how empty and helpless you feel, God will never leave you! His promises are true. His Word is above all! We can move forward because, He goes before us. And "if God be for us, who can be against us" (Romans 8:31)? Garden - We finally have some of my favorite plants blooming. I love our Blackberry Lilies. Shortly after moving to Virginia, we visited the nursery farm on an Open House day where the plants are grown for Monticello's property and also for sale at their small nursery beside the Gift Shop at Monticello. Horticulture was one of Thomas Jefferson's favorite subjects, although he had many. 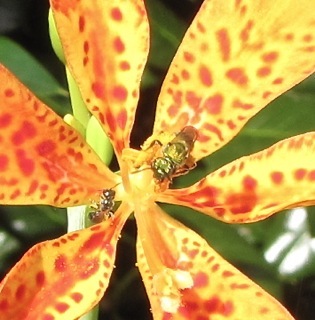 As a free gift they gave a small Blackberry Lily plant to each visitor. It was about 2 inches high and I wondered if it would even survive, but it has turned into one of my favorite plants because it spreads slowly and you can use the berries to grow more of them. This is also a most unusual plant with the way it grows and the expired flower makes a twistie of itself before forming the seed pod: View my story on The Blackberry Lily. The pollinators love the plant even though it seems very boring to most other things. With the state of the pollinators in our world, anything that makes them happy, makes me happy. View this pollinator article with links to amazing pollinator videos in slow motion ... the hummingbirds are so beautiful. Tidbit - Singing Dog - My friend, Jerry Passer, sent me a link to Britain's Got Talent with a dog that sings. It was quite an amazing video clip. If you like doggies, view this YouTube video of one incredible act of talent. Critters - Squirrels - I've seen our squirrels jump in our small pond and do a backflip to turn around and jump right back out. Just enough to get them wet. The first time I saw this I thought the squirrel was going to drown, but quickly realized it was just taking a bath as it flew up a nearby tree to lick itself clean. 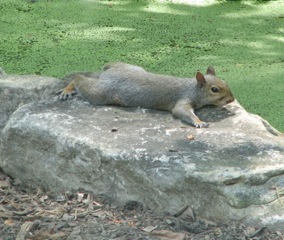 What I have never seen in all the times the squirrels have been doing this ... is one that actually swam in the pond. Last month one of the squirrels jumped in as usual up at the place near the waterfall rocks (a narrower area of the pond) and instead of zipping back out, actually paddled his way to the other side which only took 3-4 strokes. I couldn't believe my eyes. Off I go to research and see if what I saw was real. "Yes. They're good swimmers -- they "dog paddle" with their front legs and use their tail as a rudder. But, it's a very strenuous activity for them. If they fall into a swimming pool they often can't find their way out and the slippery sides may prevent them from even clinging so they can rest. They eventually drown. To help a squirrel out, use a pool net to scoop him up (or any other long-handled object he can grab). Keep hold of the pole and step backward. The squirrel will run right up the handle toward you, which may alarm you. But he won't want to have to touch you if he can avoid it and will jump off soon as he's clear of the water. If he's too exhausted to do more than just cling to the pole, then slowly lower it to the ground and step away. He'll scamper off soon as he can muster the energy." I had another question answered about them gnawing my plastic deck planters. Well, actually the question asked was about gnawing on trees. They can gnaw all they want on trees at our place, but it bugs me to have my planters with deep teeth marks. A few days after installing a new vinyl deck railing, they began chewing on the post caps while sitting on them ... or the top rail. Not a happy homeowner or wildlife lover with those behaviors, but they don't know any better. This is what WelcomeWildlife.com said, "Squirrels are "rodents," a word that comes from the Latin rodere, meaning “to gnaw.” And, do they ever! But that's because they have to. Gnawing keeps the front teeth of squirrels and other rodents short and sharp. Thick enamel covers the front surface of the front teeth (incisors), but not the back. Consequently, the back surface wears faster than the front, creating a chisel shape. They gnaw with the incisors by pushing the lower jaw forward and chew with back teeth (molars) by pulling the lower jaw backwards." They sure are able to open their mouths pretty wide, so I guess it is what it is and there's not going to be any relief. At least they're not chewing the deck rail any more. I've seen them do this with metal objects also. I guess that's why the word, "squirrely." Oxford Dictionary defines the word as: "restless, nervous, or unpredictable." Yeah, that would describe our squirrels. 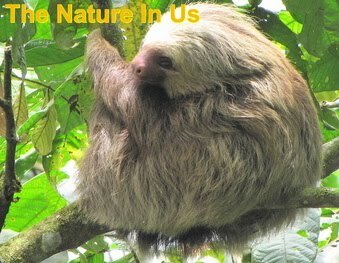 Frugal and Green - Since we've made quite a lot of trips around the world thanks to Nature's Sunshine's generosity in their awards program, I have a lot of t-shirts and jackets from various trips since they also have gifts in your room when you arrive. As usual, the items include the trip location and the year. Since I'm not into shopping for clothes, I wear the ones I have in my closet. I've not outgrown them since my single days, so I've got a lot of things that are pretty old but look really great. People ask me about this since they say their clothing fades of color or gets wash-worn and shabby. I tell them it's the chemical detergents. I had a lot of allergies which included chemical ones, so we cleared the house of all toxic household products and began making our cleaning supplies, etc, also using baking soda and white vinegar for most things. For laundry we used Sunshine Concentrate which was also a base for many of the cleaning things we needed to do. It's got a huge, long list of uses. I cleared out 2 long shelves of things and replaced it with this one and a few spray bottles of counter top, windows and bath sprays made with the Sunshine Concentrate. It's a great fruit and veggie wash or soak also. We use it for gardening as a fertilizer and especially when we just put a new plant in. My husband had always had breakouts under his arms and when we dumped the chemical laundry detergent they went away. And the other great perk was our clothes lasted a long time. I actually have things I've worn that I've had since the first few years of our marriage (38 years). I also use cold water which I've since read makes a big difference and I don't let things in the dryer a long time to dry since we're into saving energy and I like the smell of them when I hang them on hangers and put them outside on the wash line on the screened porch. You can use white vinegar as fabric softener. I pour it into the container that the washer has for fabric softener. Turning t-shirts inside out (or anything that has something that will wear off on the outside) so that the inside gets the beating from the washer blades. 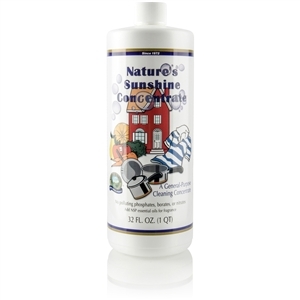 So .... Sunshine Concentrate might be something for your household. It's worked great in our for the last 33 years. A bottle lasts forever for cleaning and months for laundry soap. It only takes 2 pumps for a full load. Flashback Photo - This photo was taken on September 3, 1985, which was my 35th birthday. 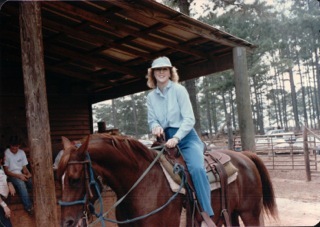 I loved to ride horses and any time we vacationed and saw a horseback riding option, I was on it to find out if these were horses that just stuck their nose in the horse's tail in front of them ... or if they would actually have a tiny bit of mind of their own to tune into the rider's wishes. I am not a proficient rider, but I'm not into a slow line of follow the leader. This place was somewhere near Atlanta. At the time we were living in Montgomery, Alabama so it wasn't very far away. Need help understanding what meditation is? Watch the June 2nd broadcast (2nd link on the series) on this series ... or watch the whole series.